You know I always try to keep it light and cheerful around here. Party in the kitchen, anyone?!? Yeah – that’s the way I like things! Here’s the rub: food waste. Food waste really bothers me. I’m certainly not perfect in this department. (Uggggh … witness the utter sadness I feel when I unearth some once-gorgeous produce that was forgotten and left to moulder in the bottom of the crisper 🙁 ). Not perfect. But I’m trying. The USDA estimates that more than 30% of our food supply is wasted. Ummmm … guys? That’s about ONE-THIRD of our food! Want to quantify that differently? Well, in a 2010 analysis, that correlated to approximately 133 billion (billion!) pounds of wasted food with a price tag of $161 billion (and again … billion … billions of dollars! ), just here in America. The numbers get even bigger when you take a global perspective. A United Nations report found that, worldwide, people similarly waste about one-third of the food produced for human consumption – totaling a staggering 1.3 billion tons (those billions just keep coming). That sure adds up in dollars spent, and also in burgeoning landfills. According to the EPA, food waste accounts for a larger proportion of our nation’s trash than any other single material. So, yeah … I find this all a teeeeeny bit vexing. And I know that a lot of you do, too. Not only is it a tremendous waste of nutrients that could go a long, long way toward feeding the world’s hungry, food-insecure populations, but it’s also a colossal waste of resources and effort. And, closer to home, it’s a waste of your hard-earned dollar. Especially if you’re purchasing higher-priced organic produce, you’d no doubt like to use every bit of that purchase that you possibly can! Sure, I try to find little ways to do better, to toss less and creatively use more: the minuscule portions of leftovers I won’t let the family throw out because there’s still just enough to make a perfect little snack … the brown bananas we didn’t quite eat in time, that are now piling up in the freezer awaiting their reincarnation as smoothies or banana bread … the bits of leftover chicken I salvage for baked dog treats and even frosty, post-run frozen puppy treats. Yeah, I know that food waste is a huge topic to tackle … we’ve got numbers in the billions here, after all! But lots of small efforts can add up to something really big! How ’bout we start with produce? It’s one of the largest categories of food waste here in America, with the USDA reporting that Americans waste about one-third of the produce we purchase. 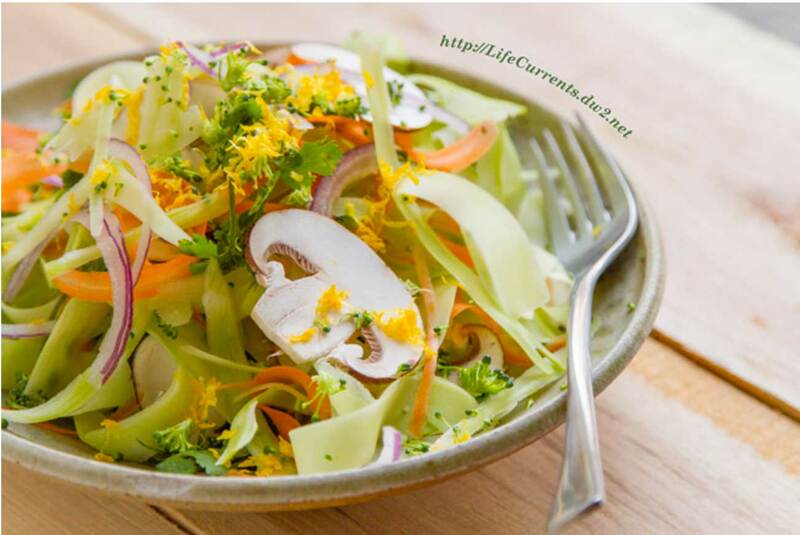 Vegetable stems and stalks and peels … fruit rinds and even pits. Seriously! These are all fair game! 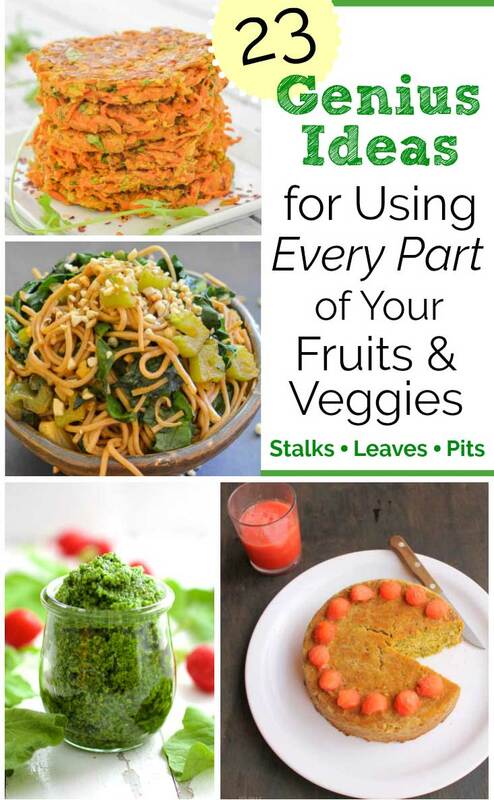 Take a little peek at the ideas below, gathered up from other food bloggers who were also looking for innovative ways to use up fruit and vegetable scraps! 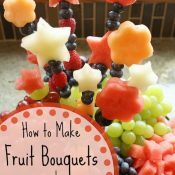 Not only are these pretty darn wonderful, but … I’ll admit … I actually was super surprised at some of these creative ideas! (Nope … that’s not celery! 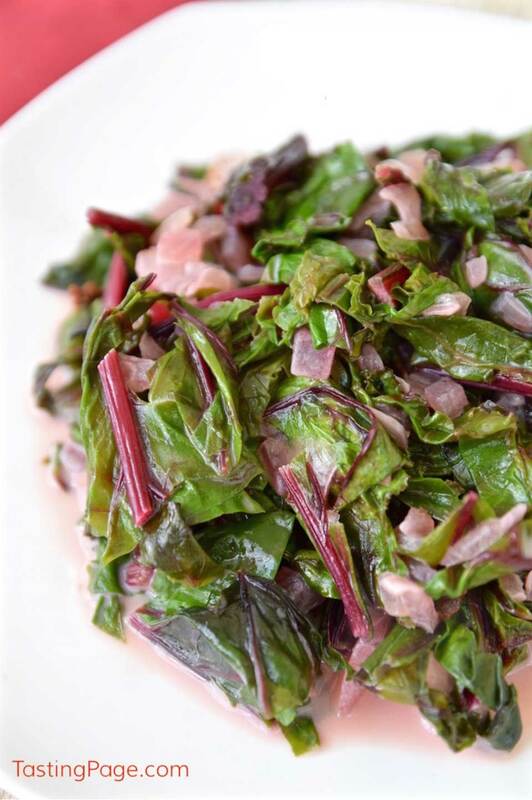 You’re looking at Swiss chard stems that didn’t get thrown away! Brilliant! If you think broccoli florets are the only useful part of the veggie – look at how those broccoli stalks are right at home with other gorgeously vibrant vegetables in this stunning salad! 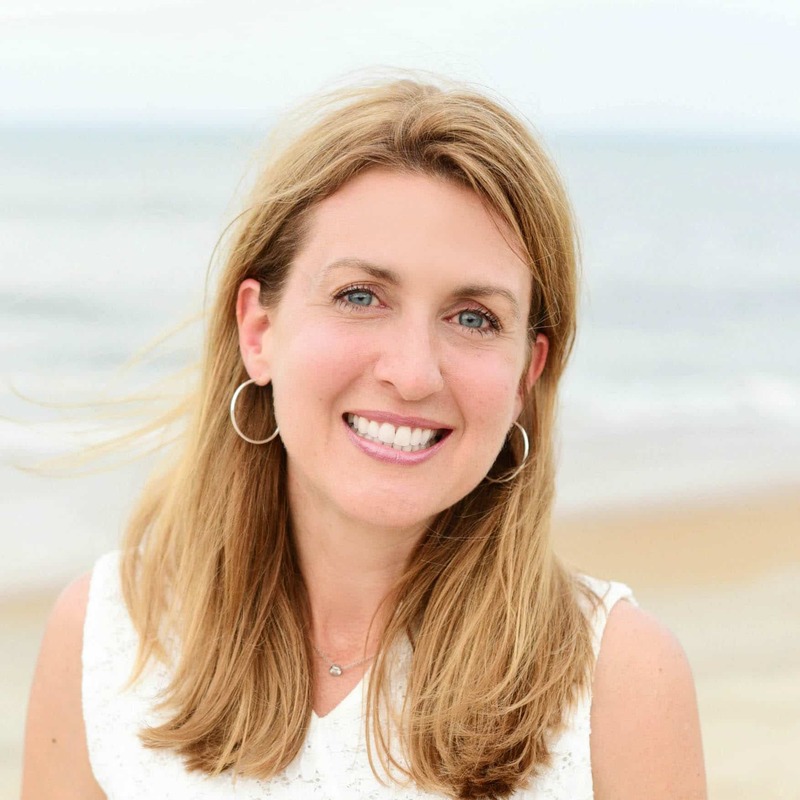 Katie also offers great tips on beet green nutrition, seasonality, storage and prep! 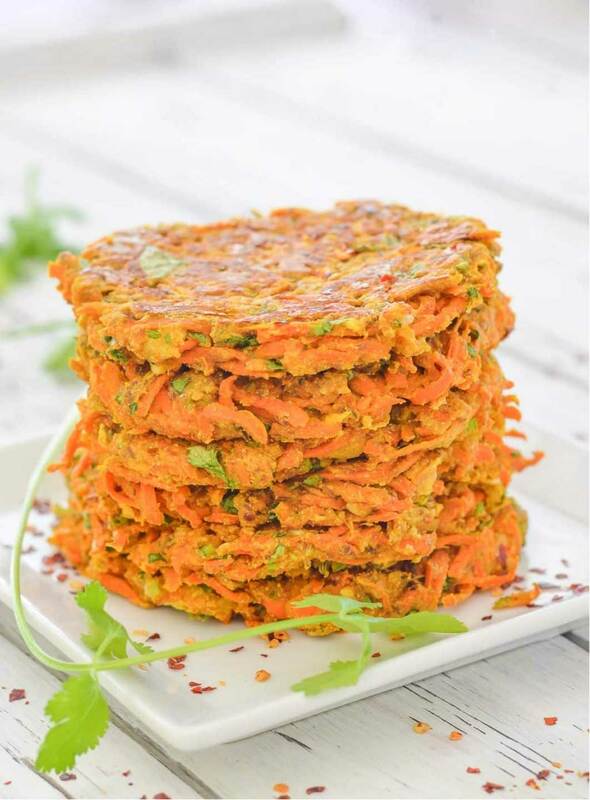 Sure, you could use cilantro or parsley in these easy fritters … but I love Mel’s great idea to use the whole carrot, finely chopping those leftover carrot tops instead! 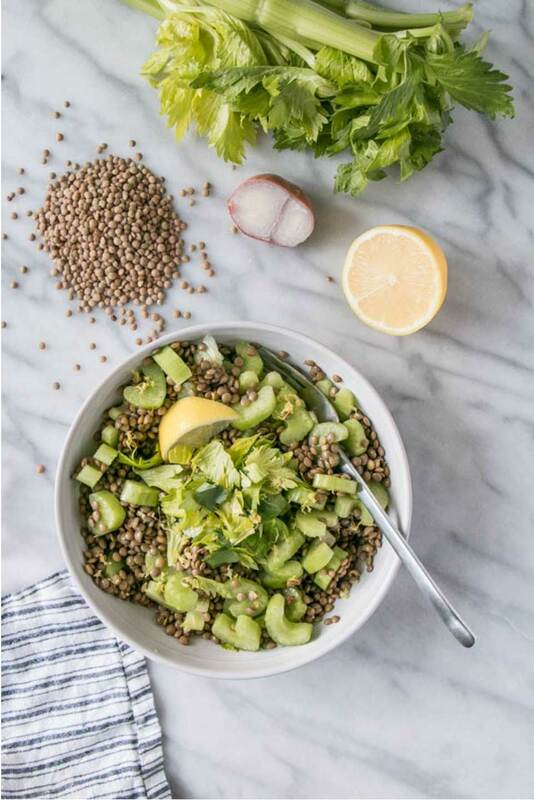 Those celery leaves are so refreshing and pretty … I love that this salad includes them, right along with the stalks! 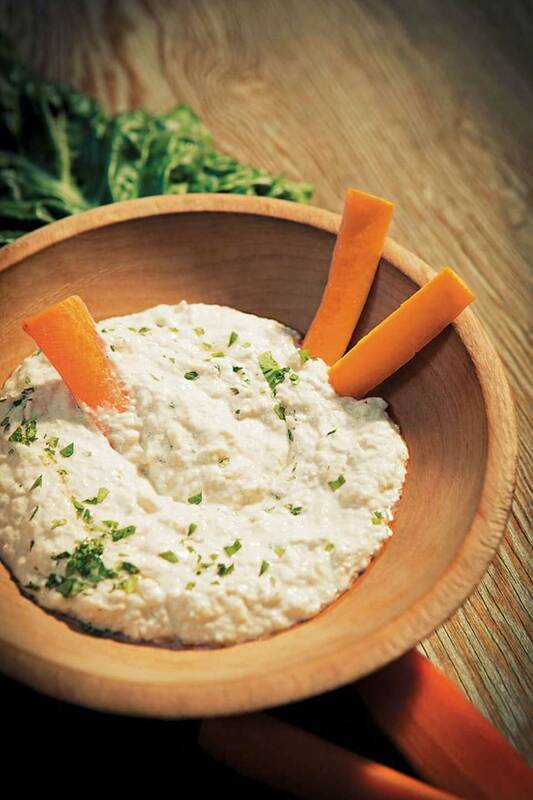 Instead of chickpeas, Kathy uses chard stalks in this hummus dip, which has a lighter texture, but all the same flavors as traditional hummus! You can use typical green Swiss chard stalks to make a classic white hummus, or have some fun with red or rainbow stalks to make pink or yellow hummus! 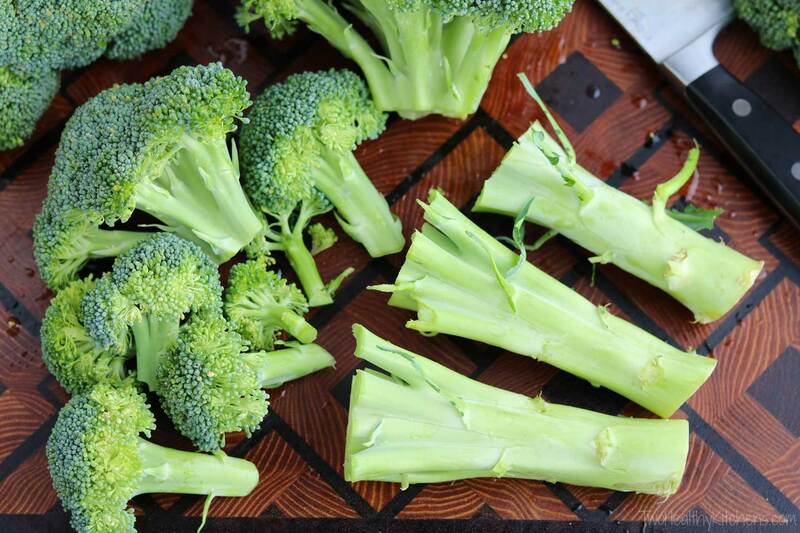 Here’s another great idea for salvaging those usually-unused broccoli stalks. 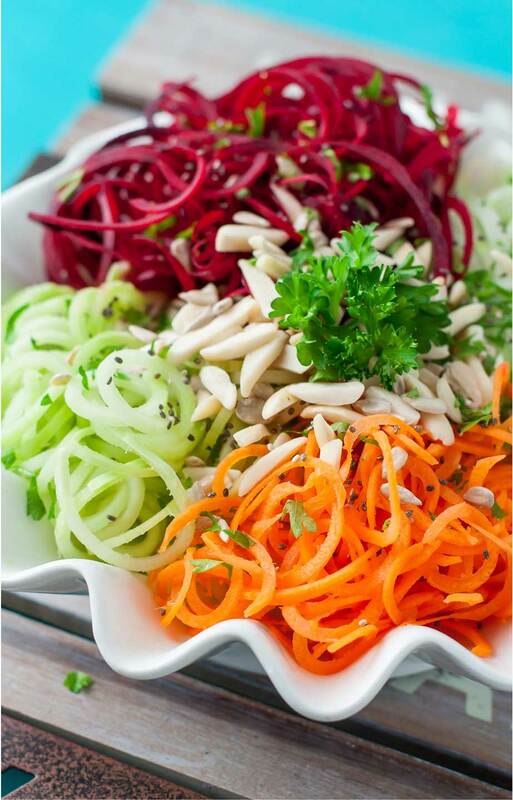 A veggie peeler quickly and easily creates perfect ribbons for this lovely salad! A smooth and elegant vegetarian soup made from humble ingredients – including broccoli stalks that were saved from the landfill. 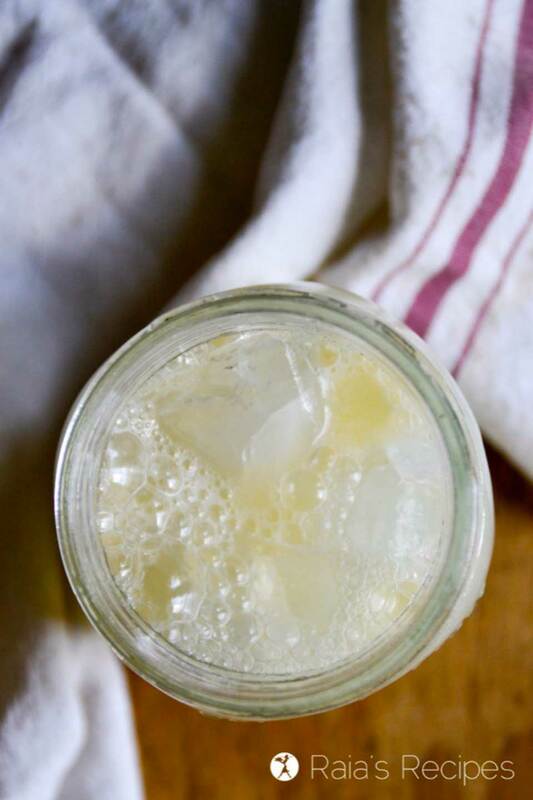 Easy, nourishing and thrifty, too! Surprise! 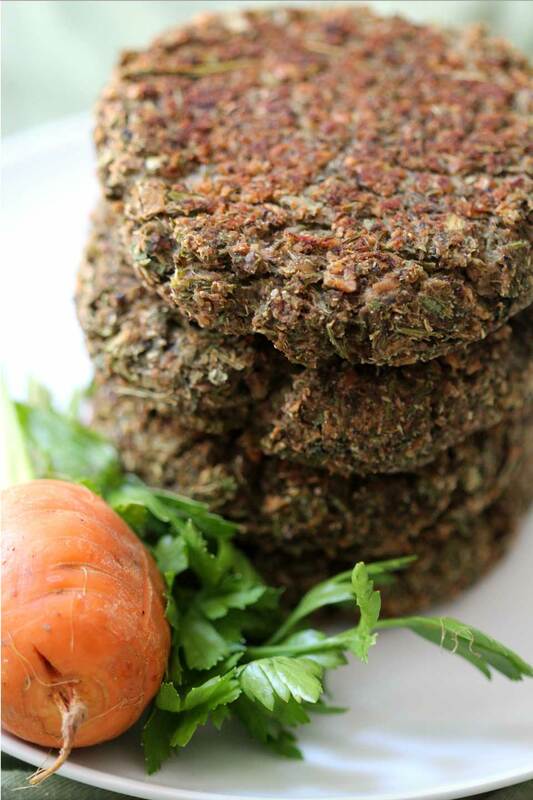 No orange carrots here … just the feathery, leafy tops! Huh! Who knew that you could use the core of the pineapple?!? 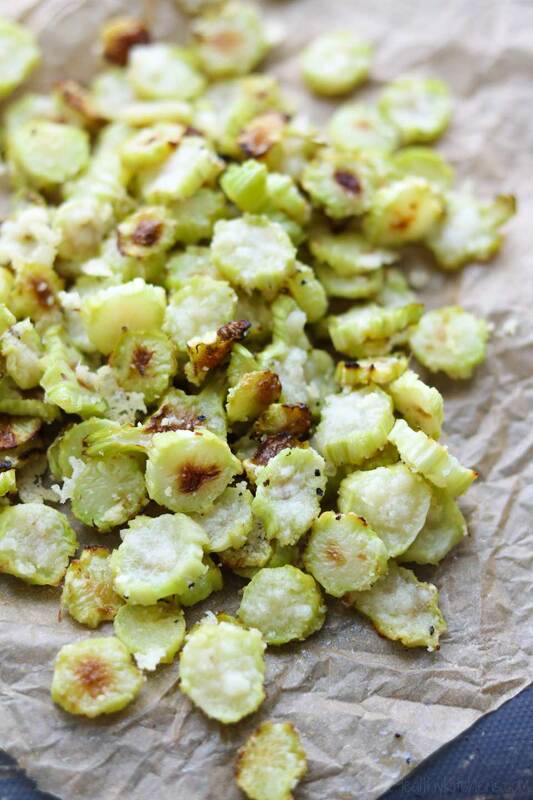 Oven dried into little petals, that core you always used to throw away becomes a fiber-rich snack! 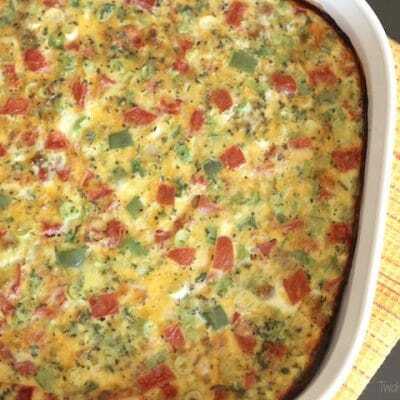 With the option of adding a protein like shrimp or chicken, this can be a pretty side dish, or even a satisfying main. 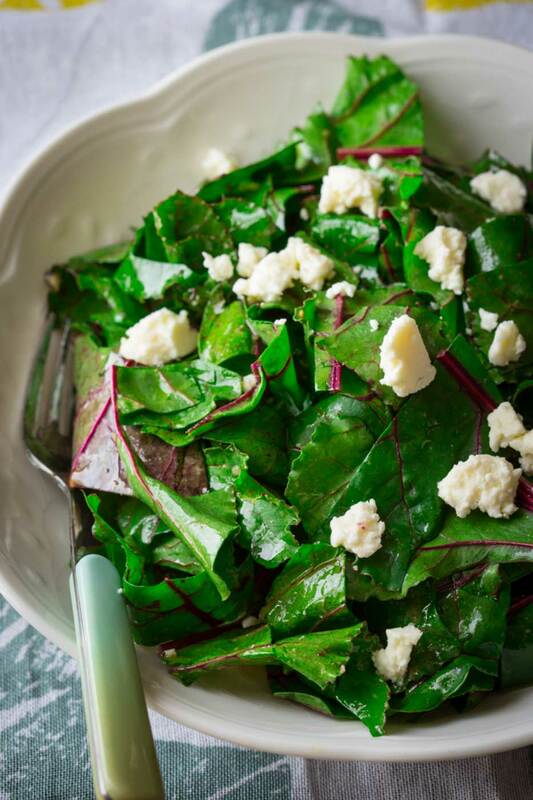 Thanks to those super-nutritious greens, it’s loaded with protein, iron, calcium and lots of vitamins and antioxidants! 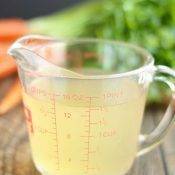 Transform vegetable scraps (like carrot and onion peels and scallion ends) into a flavorful vegetable broth. 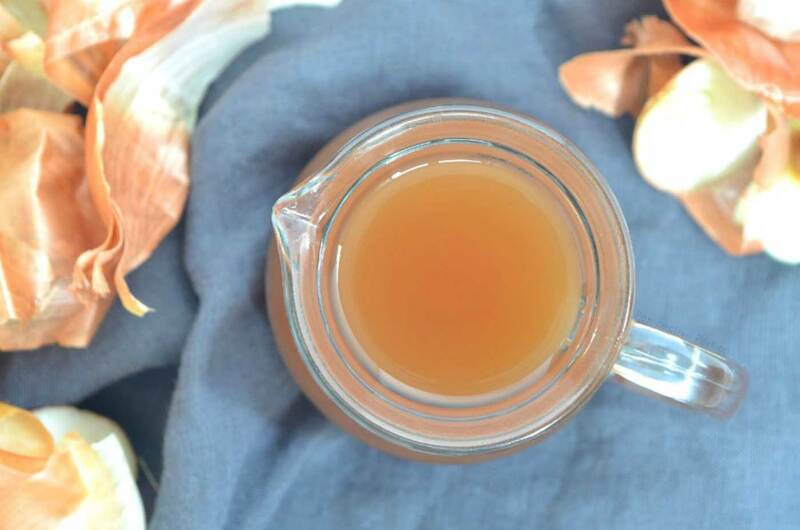 Dietician Ariella uses the broth in homemade soups and even in her recipe for freshly baked onion rolls. Great ideas so far, right? So many I can’t wait to try! But my winners in the easy-peasy department are definitely all the gorgeous pesto recipes I found! Toss everything in a food processor and call it a day! 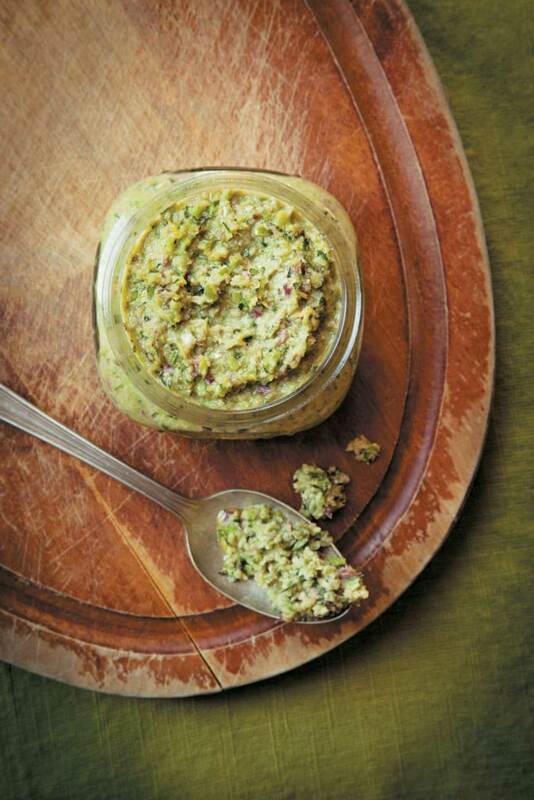 Carol recommends serving this bright, nutritious pesto with fish, chicken, pasta, potatoes, or any other way you’d serve traditional pesto. 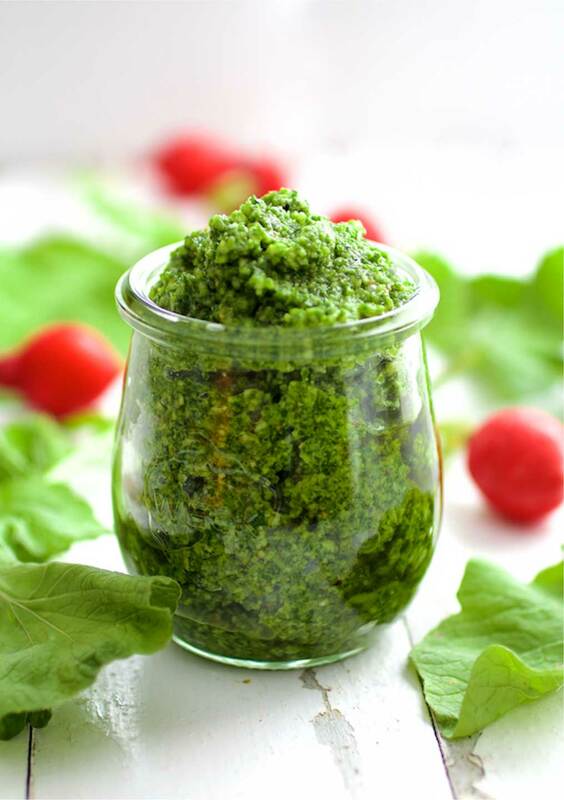 Bonus: In an ultimate don’t-waste-a-bit maneuver, you can even freeze this yummy pesto – a terrific way to use up a bumper crop of radish greens to enjoy all winter long! 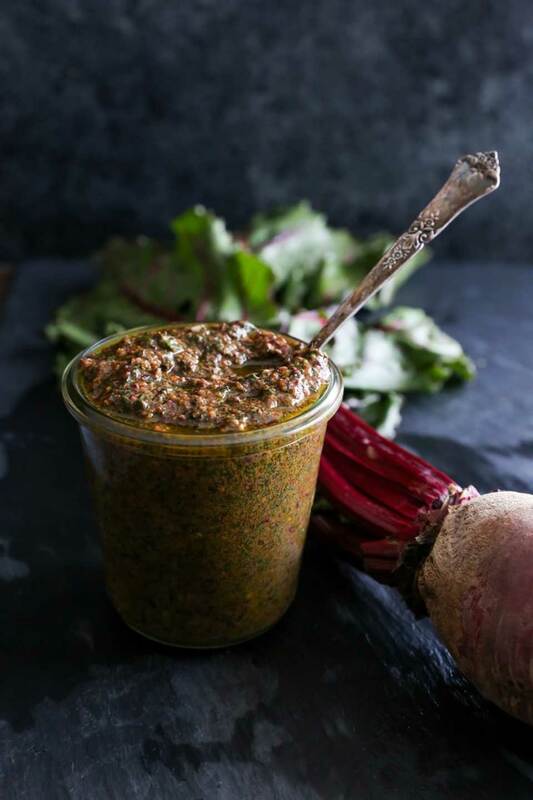 Kathy uses both parsley stems and kale stems in this pesto recipe, and offers tips to adjust the consistency so it’s a thicker paste for spreading on sandwiches and pizzas, or a thinner sauce that you can stir into pastas and soups. 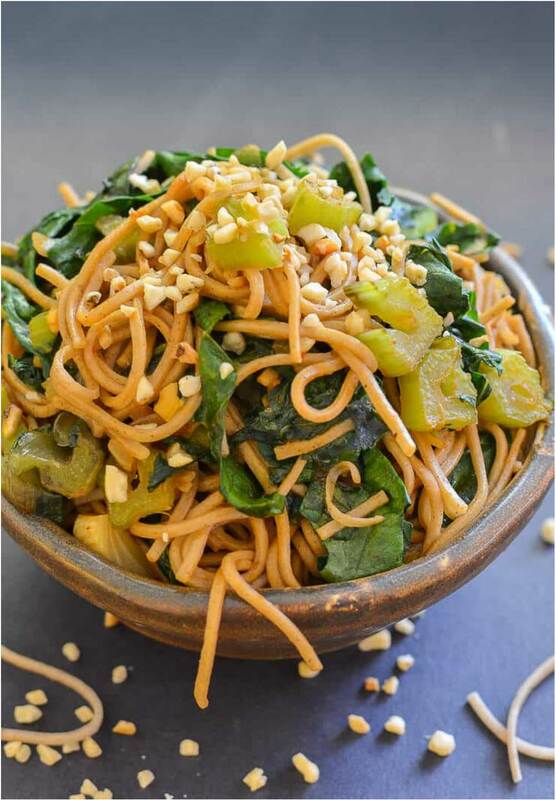 With lots of ideas for substitutions, you can make this nutritious pesto vegan, or switch up the flavor profile with different nuts. 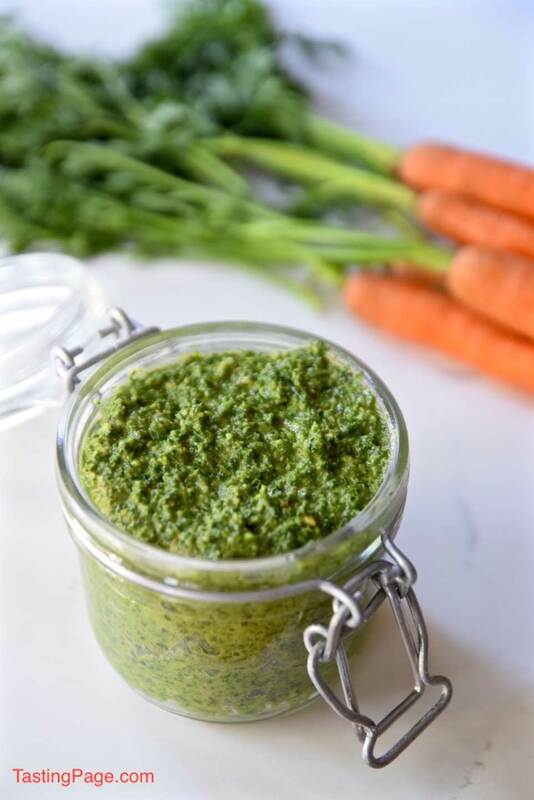 While this would be terrific on top of meat, fish or pasta, I adore Kelly’s fun idea of layering carrot on carrot by topping warm, roasted carrots with this easy pesto made from the leafy carrot tops! 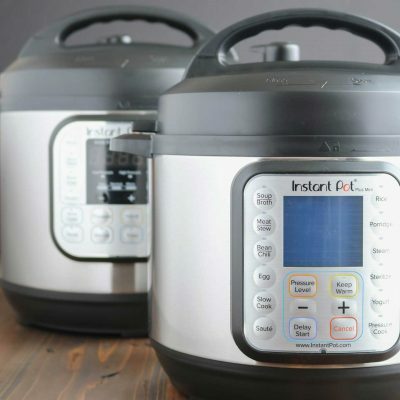 You might not be too surprised to see all the ingenious ways to use up fruit and vegetable parts in things like stir fries, salads, and even those gorgeous pestos. 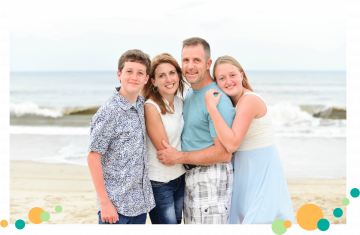 But I bet you’ll find these next ideas a little more unexpected – I sure did! Winning the award for “Most Surprising” are these seriously creative drink and dessert recipes that turn fruit and veggie scraps into decadently delightful sweet treats! 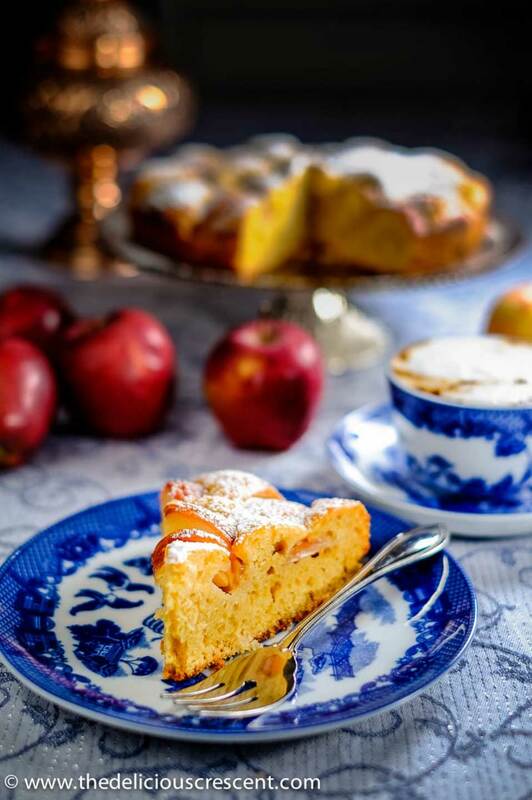 This healthier take on German Apfelkuchen features unpeeled apples. Not only does that save those peels from being wasted, but it takes full nutritional advantage of the fiber and antioxidants that hang out in those often-discarded peels! 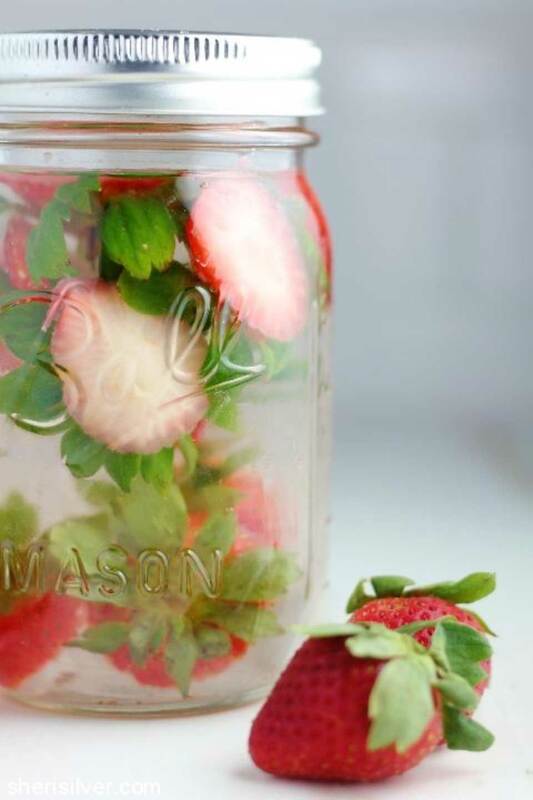 Light, refreshing and so frugal, too! 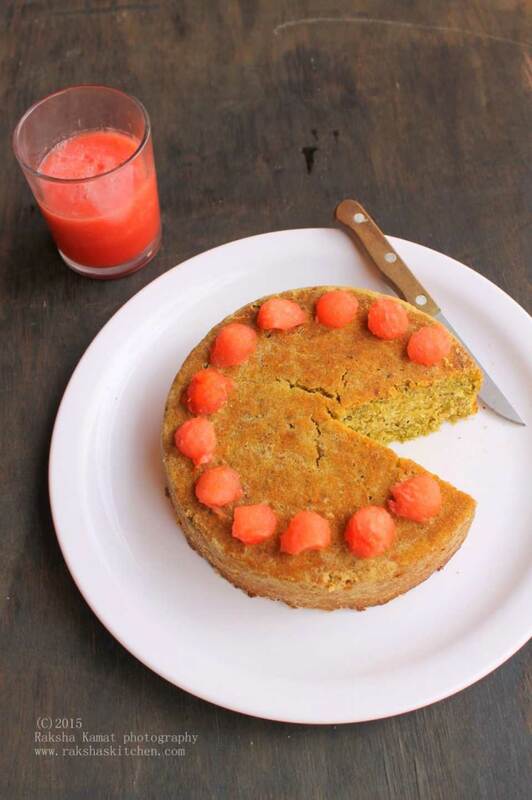 Pureeing the watermelon rind saves a large portion of the fruit from the compost heap … and ingeniously adds moisture and nutrition to this lovely cake! 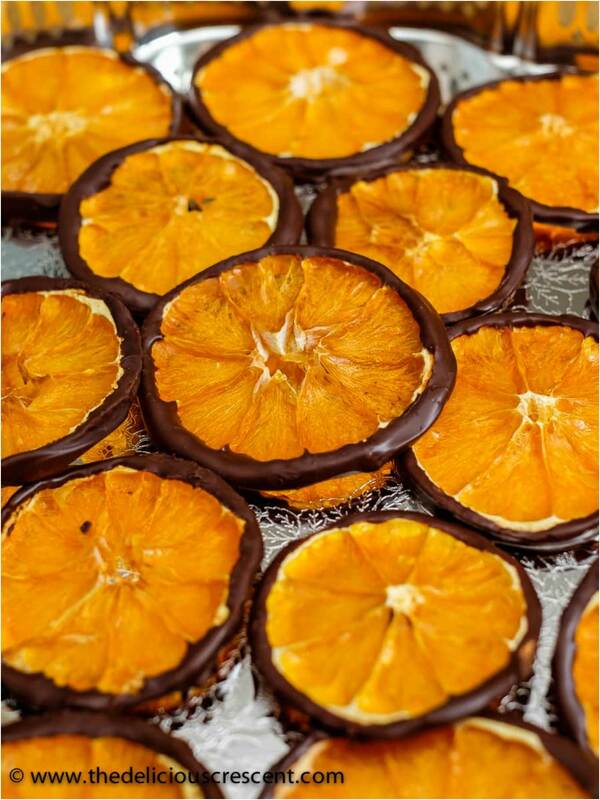 You don’t peel the oranges before making these luxuriously delicious, nutritious treats. Nope! That peel not only adds great nutrients, but also lots of terrific flavor! 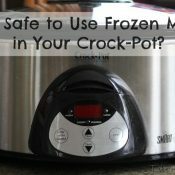 This recipe just might be the very most surprising of all! 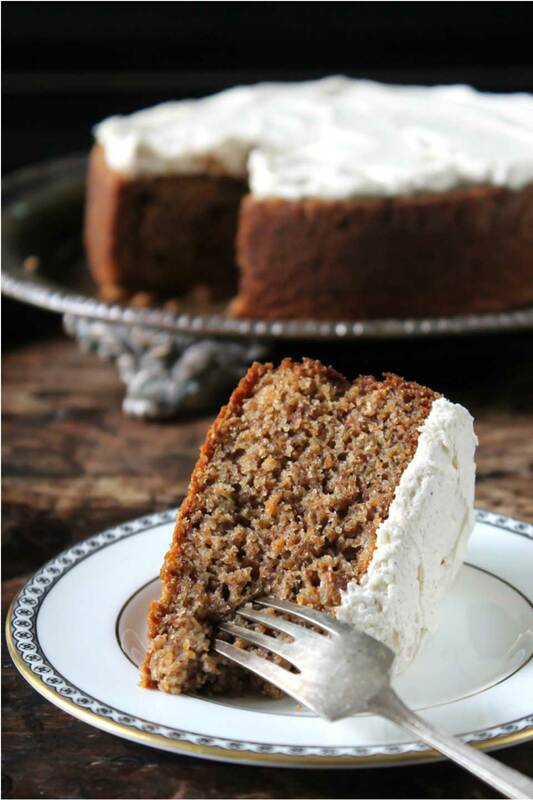 With just three simple ingredients, it derives flavor from … are you ready??? … mango pits! Seriously! Talk about using up every possible part of the fruit! Be sure to check out Raia’s suggestions for other fruit flavors to try, too! 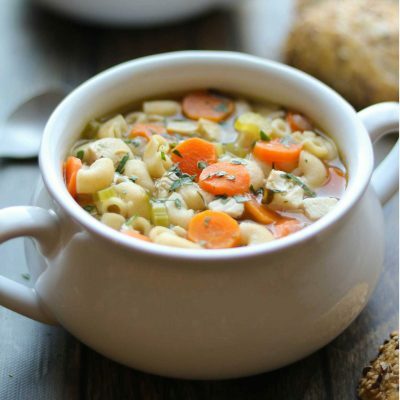 Why Use Low-Sodium Broth Instead of “Regular”? 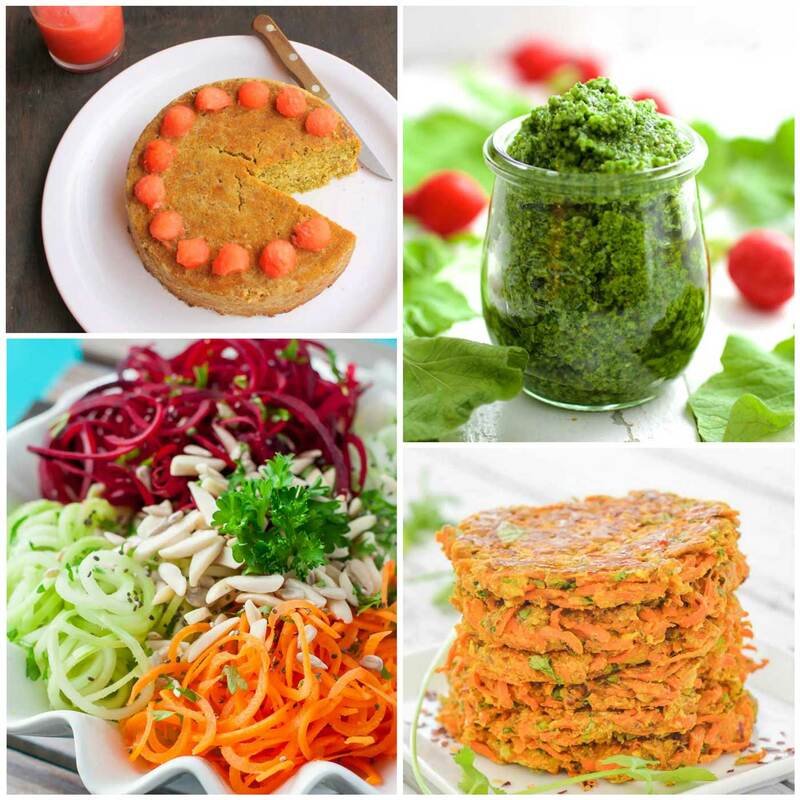 Love these recipes and that they can seriously reduce food waste in the kitchen – SO IMPORTANT! 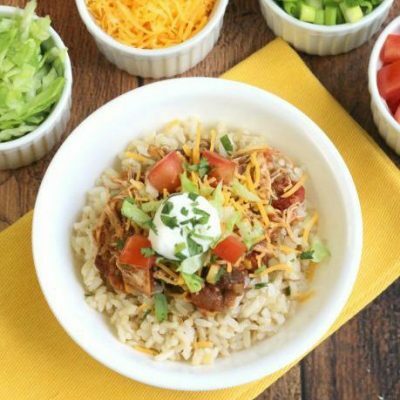 What a great post and such fab recipes! Food waste is something that we all should avoid as much as possible. It’ so sad how much gets thrown away when there are people out there starving. 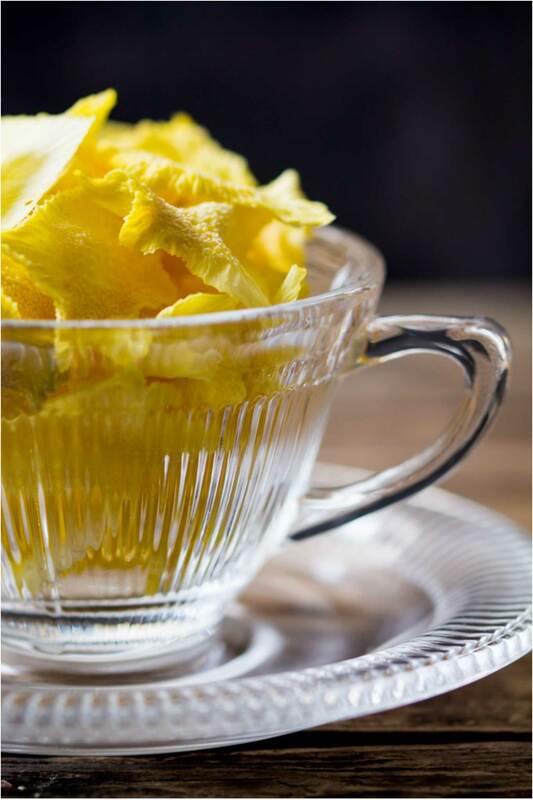 I really need to try those Pineapple Core Crisps. So clever. 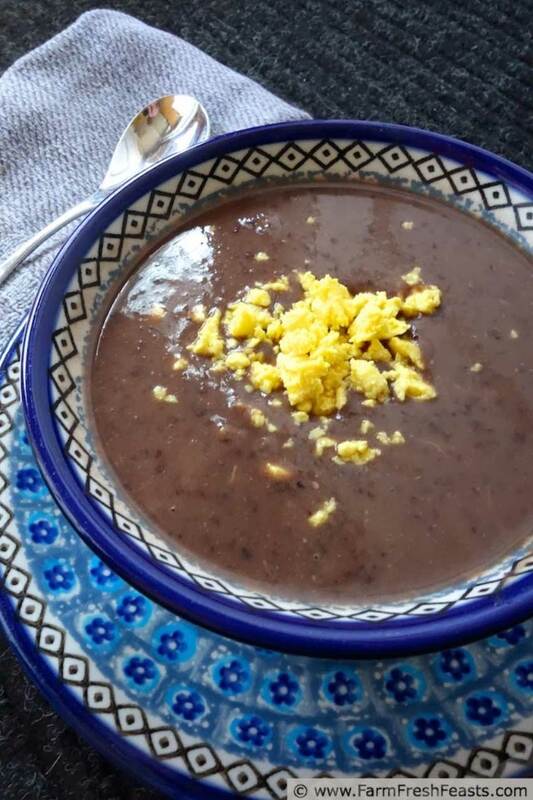 Thank you for including my recipes! This is such a great help! I’m all about not wasting food. 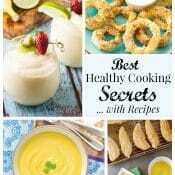 I can’t wait to dive into this and see all the great recipes. As I skimmed I saw several that looked perfect for me. Thanks! Pinned to save for later as well. I love this! So many great ways to use what you’d otherwise throw away. Thank you so much for sharing my mango soda, too! Pinning and sharing!